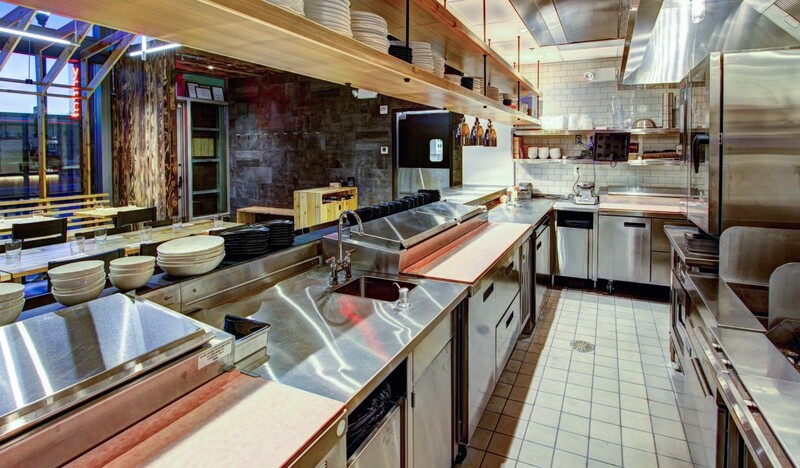 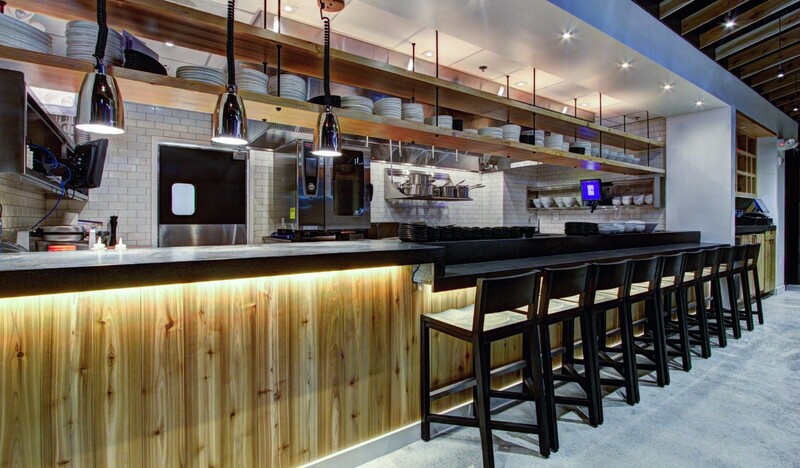 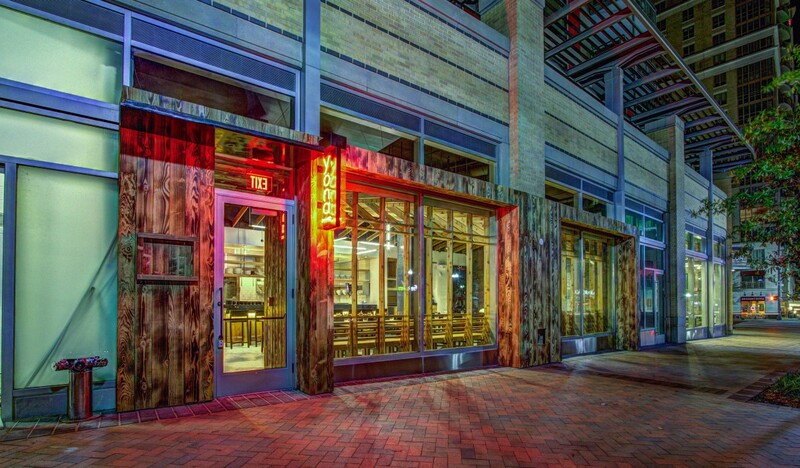 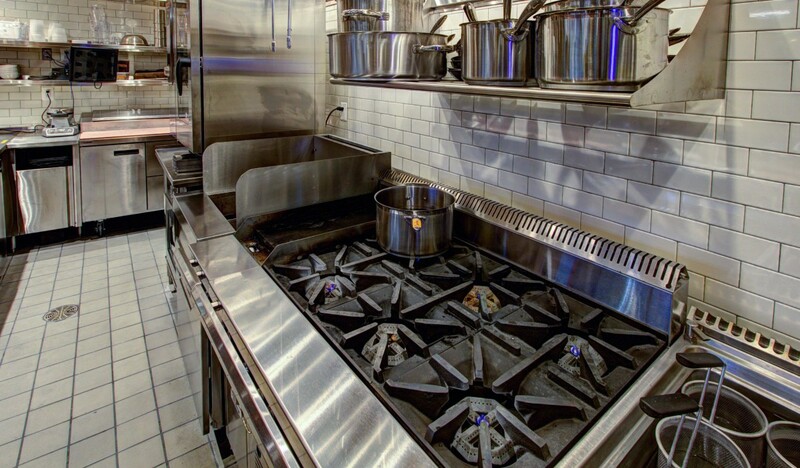 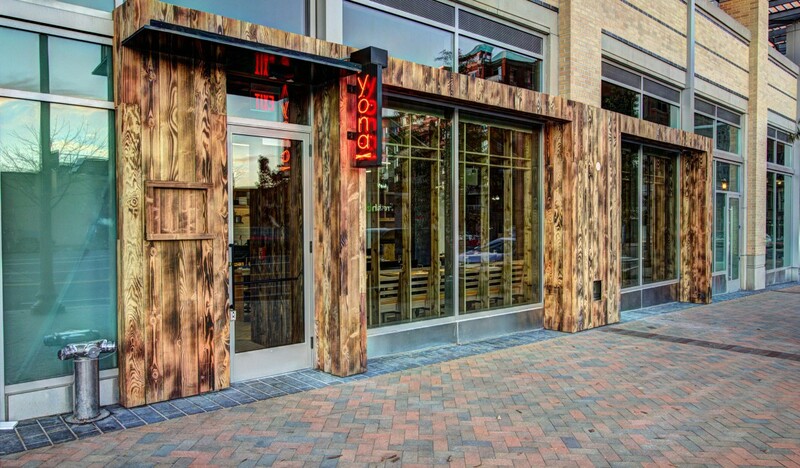 Introducing Yona, the latest restaurant concept from award-winning chef and restaurateur Mike Isabella. 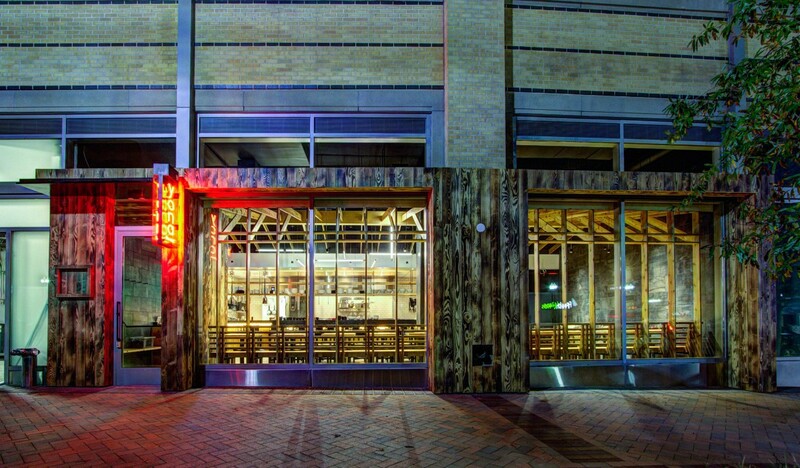 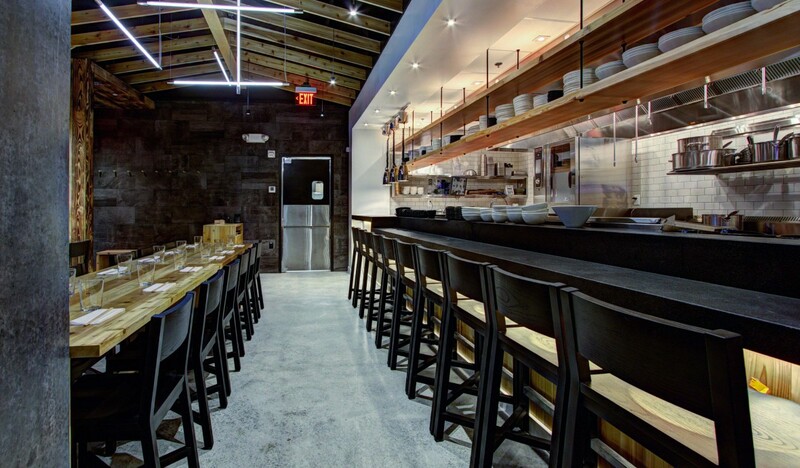 Located next to Isabella’s other well-received establishments, Kapnos Taverna and Pepita, Yona completes the trifecta, bringing a whimsical ramen noodle bar to the Ballston neighborhood of Arlington, Virginia. 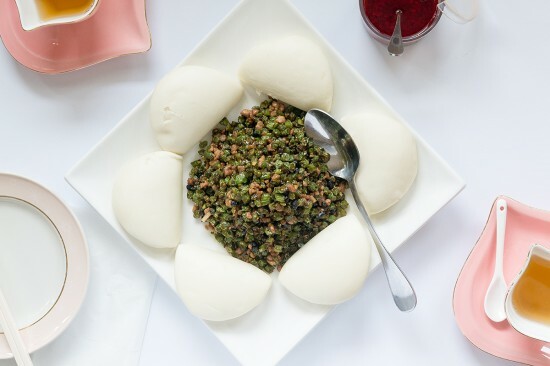 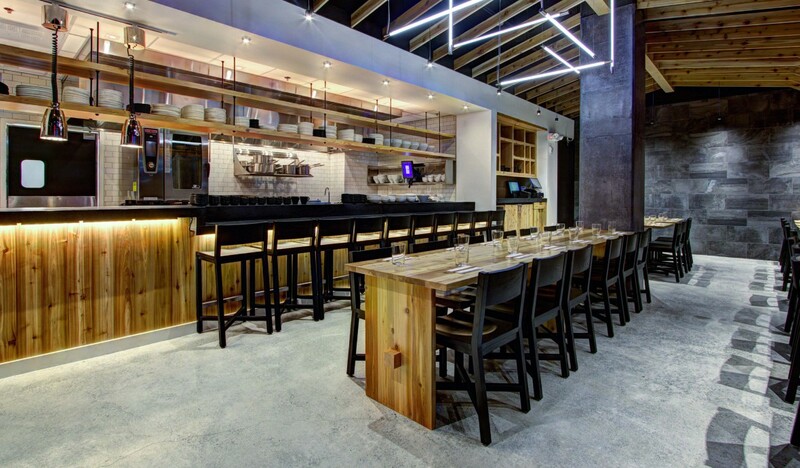 The menu, developed by renowned Chef Jonah Kim, features small plates and dishes that showcase both Korean and Japanese cuisines, which reflects Kim’s Korean heritage and Japanese culinary training. 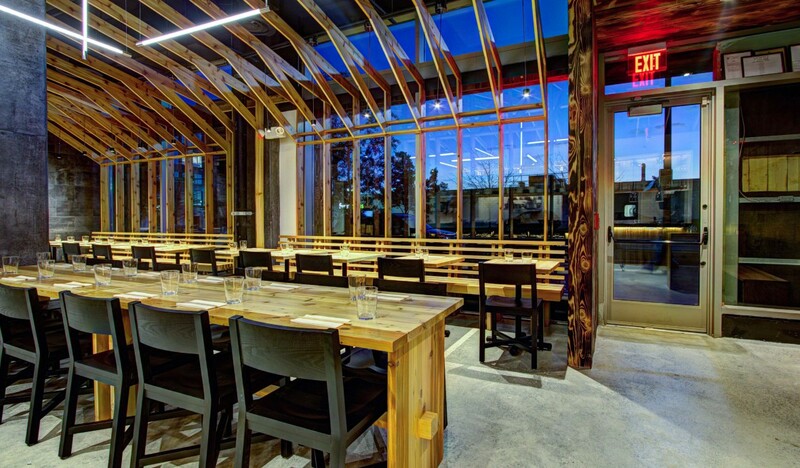 To bring the concept to life, Isabella and Kim tapped local restaurant general contractor, Hospitality Construction Services to construct the space. 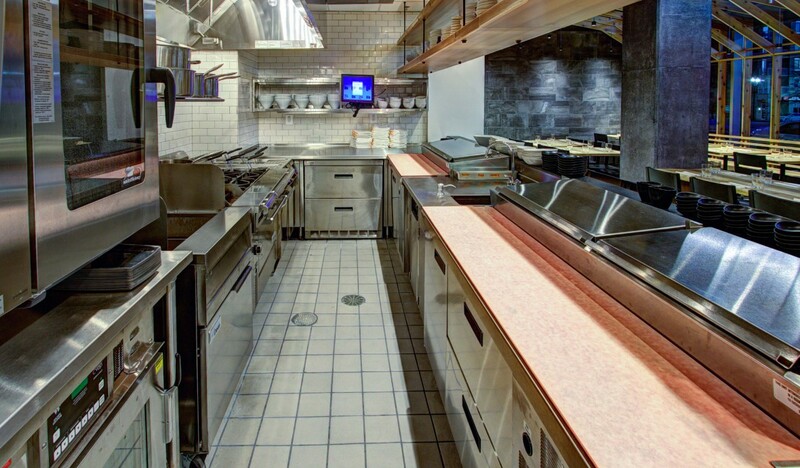 Consulting engineering firm Face Associates, Inc. designed the MEP systems. 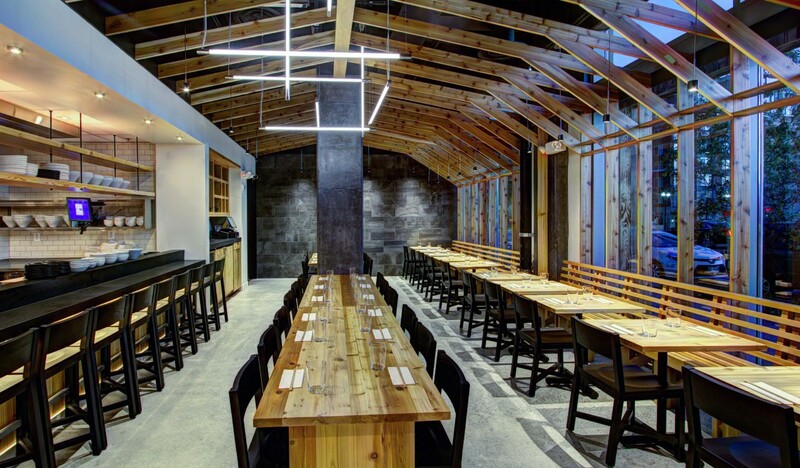 In a quick turnaround time of just 10 weeks, Hospitality Construction Services founder Rob Mescolotto and his team were able to transform the 1,300-square-foot space into a show-stopping restaurant, inspired by the traditional minimalism found in Japanese design, with the unique characteristics of “new Tokyo” intertwined. 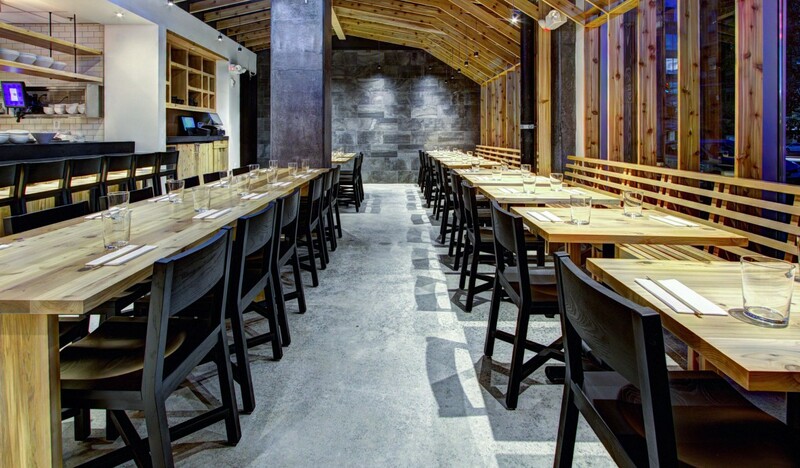 In the dining space, natural cedar millwork and furniture lends a nod to Japanese and Korean wood joinery, offering a warm contrast against the pristine, white tiled open kitchen. 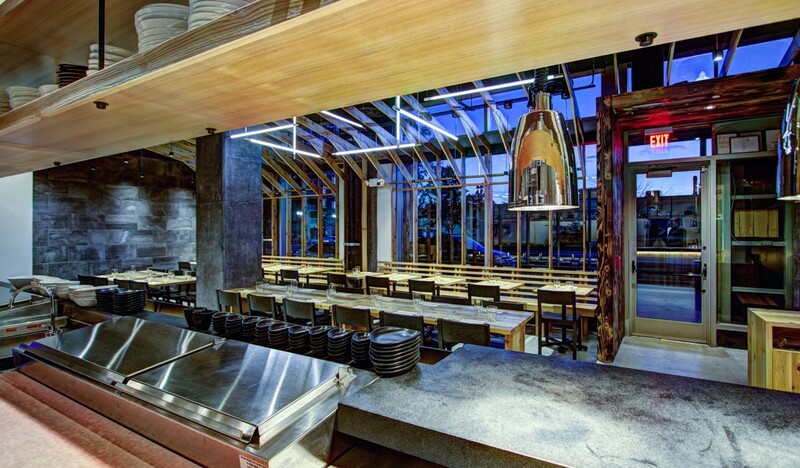 A custom neon light fixture and pixelated mosaic wall tiles in shapes of whales, a recurring motif in the space and in Yona’s branding, contribute to the restaurant’s fun and comfortable vibe. 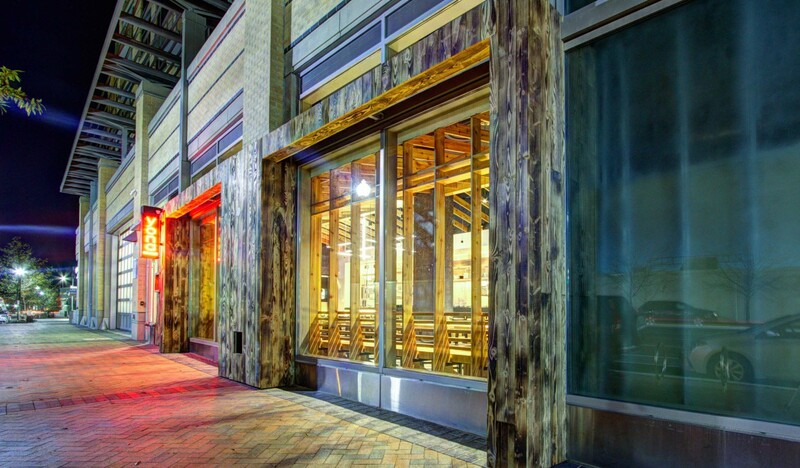 The wood for the exterior façade uses the Shou Sugi Ban method, a traditional Japanese way of charring wood that naturally protects it against the elements—it creates a bold frame for an otherwise simple and muted interior. 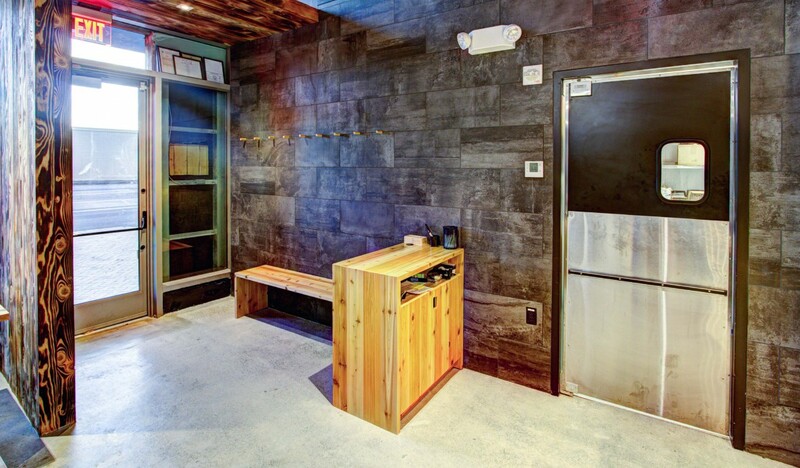 The construction team helped Isabella and Kim value engineer the space, sourcing the most efficient materials, from the wood beams, to the tiles and the countertops. 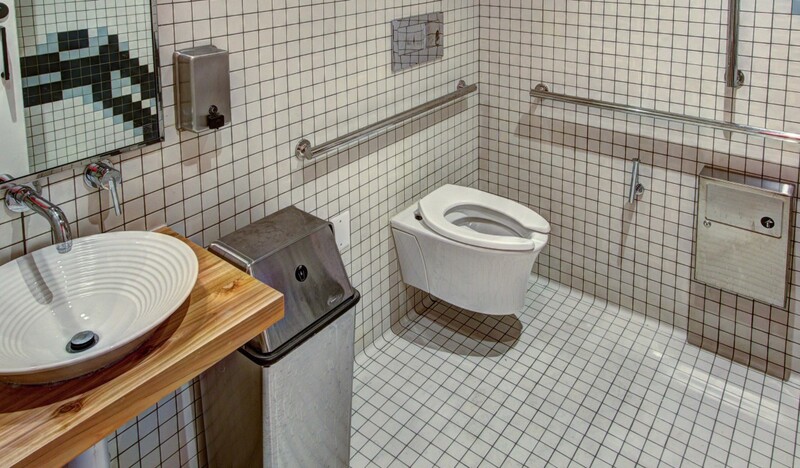 Rob was able to cut down the total cost by a third, bringing the project well under its estimated budget. 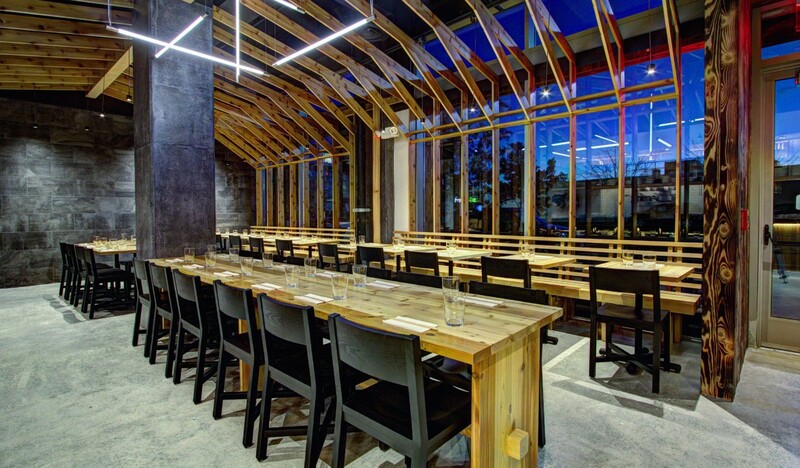 The firm kept a few of the bigger, eye-catching items that were originally specified by the architect in the concept, but for the less critical items, the team was able to find alternative materials that were similar and more cost effective. 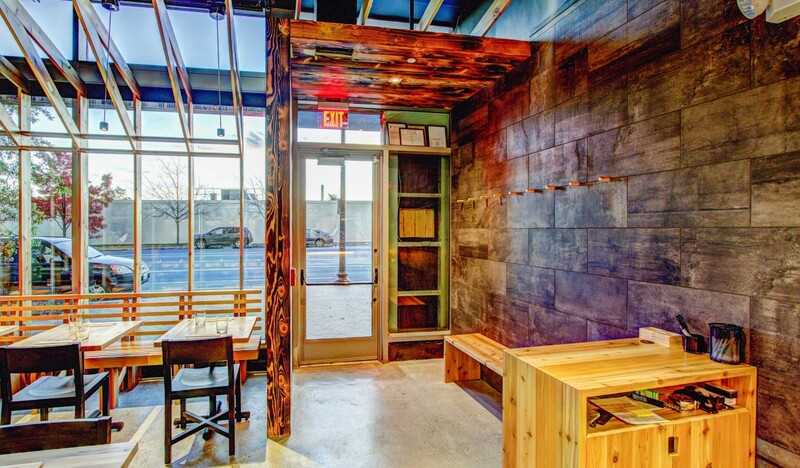 For example, one money-saving item was the lower grade wood for the ceiling. 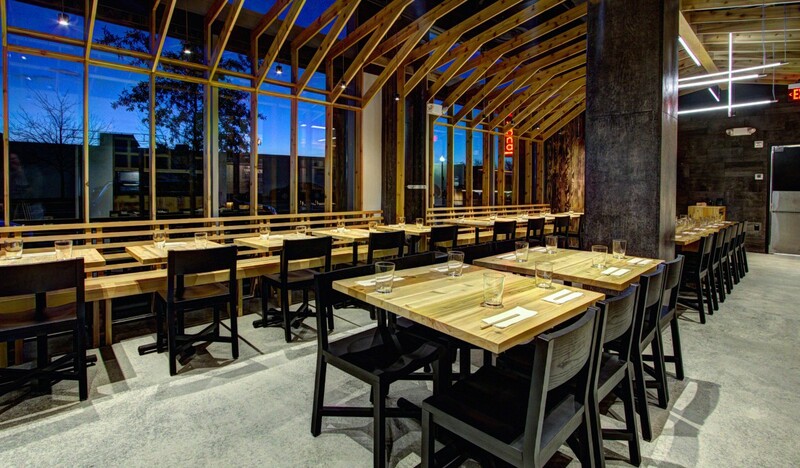 Kim, inspired by his travels and traditional Japanese decor, wanted the wood to show its natural knots and evoke a rustic feel. 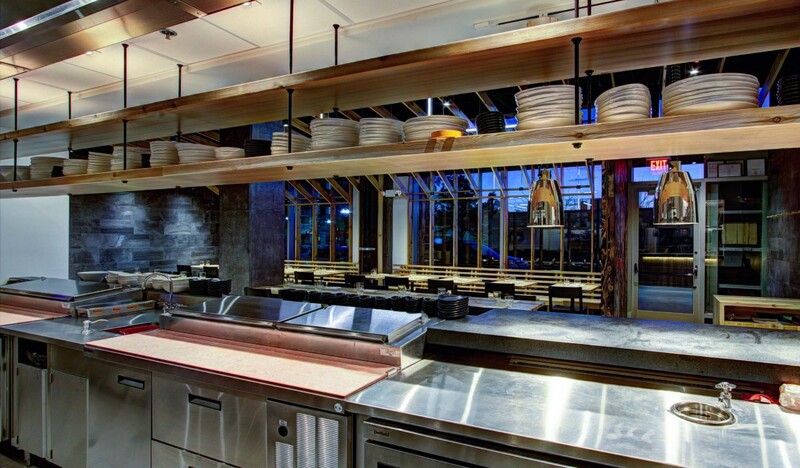 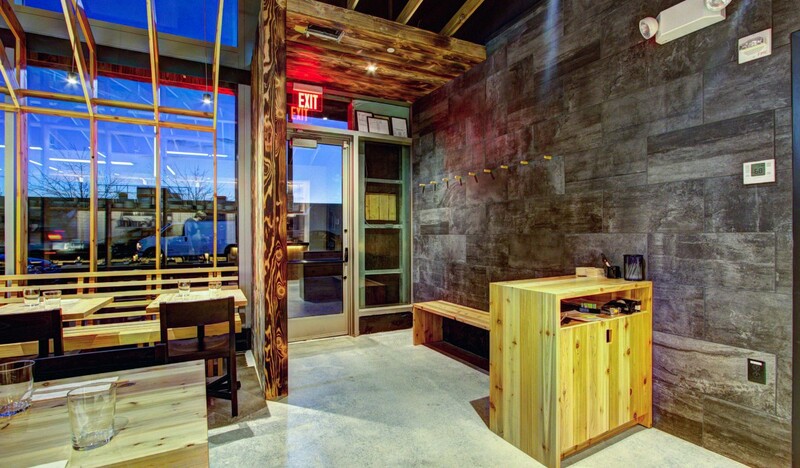 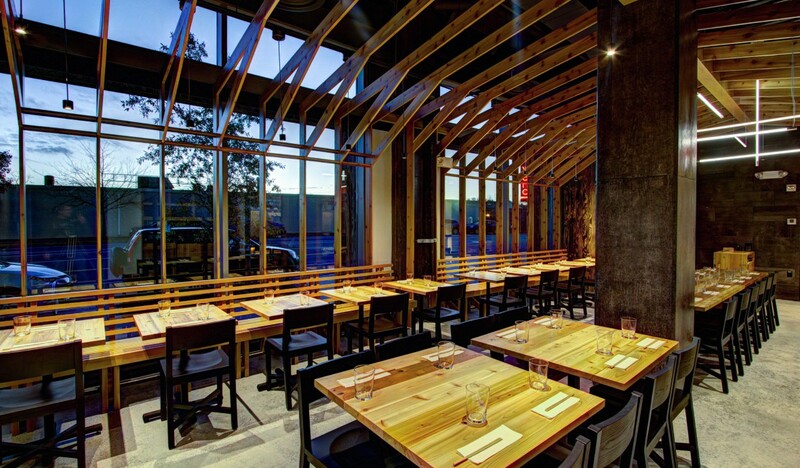 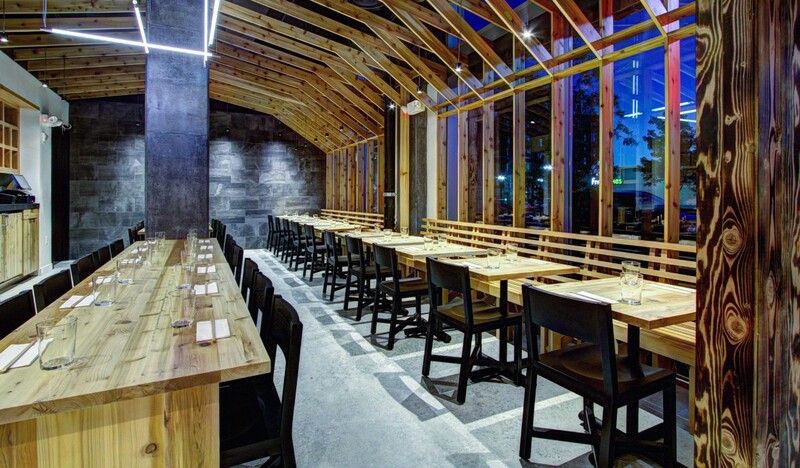 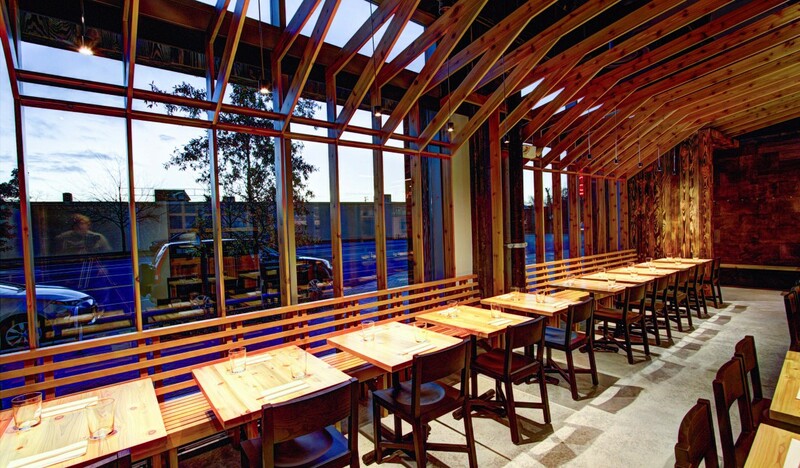 With beautiful, high-quality cedar wood specified for the majority of the restaurant, the lesser grade wood used for the ceiling beams was a simple way to cut the budget without sacrificing the Chef’s vision.